Without Mama, life in the log house at the forest's edge can be lonely for a little girl. But there's Papa for company, and the two mules, Bartholomew and Thaddeus Frisco, and the big old dog that mysteriously showed up at the end of winter. Everything about her little homestead seems sheltering and secure--that is, until an ominous storm settles over the valley and threatens to take it all away. As the flood waters rise and separate the girl from her Papa, will there be anything that can save her? 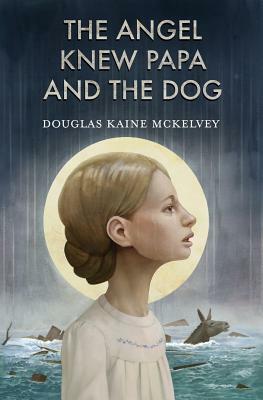 The Angel Knew Papa and the Dog by Douglas Kaine Mckelvey was published by The Rabbit Room in April 2017. The ISBN for The Angel Knew Papa and the Dog is 9780998311227. Be the first to review The Angel Knew Papa and the Dog! Got a question? No problem! Just click here to ask us about The Angel Knew Papa and the Dog.